Product #60722 | SKU MB-T12-104 | 0.0 (no ratings yet) Thanks for your rating! 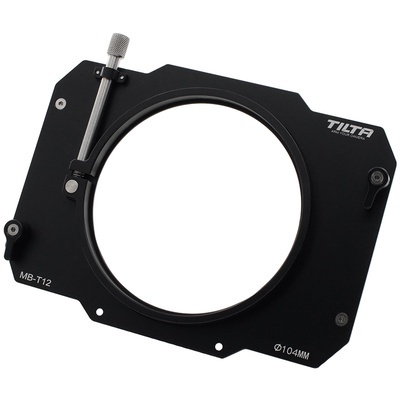 The 104mm Tilta 104mm Clamp-On Adapter for MB-T12 Matte Box is used to attach the matte box to a lens with a 104mm front diameter. The adapter attaches to the lightweight 10.2 x 14.35cm matte box via keyhole slots and fastens to the lens using a screw-on clamp. This aluminium and stainless steel adapter has a rectangular outer shape and a circular inner design.